Join Andrew to learn about the progress and developments that are happening in North Dakota on the fusarium head blight front. Andrew will share the multi-location trial data on fungicide efficacy, fungicide timing and fungicide performance with host resistance. 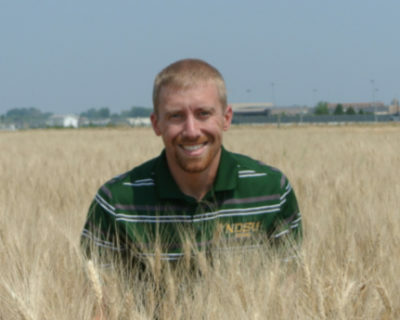 Andrew will review current fungicide recommendations for FHB on hard red spring wheat, durum and barley. 2020 Dates: January 21, 22 and 23 at the Keystone Centre in Brandon, Manitoba. Celebrate 43 years of AgDays!